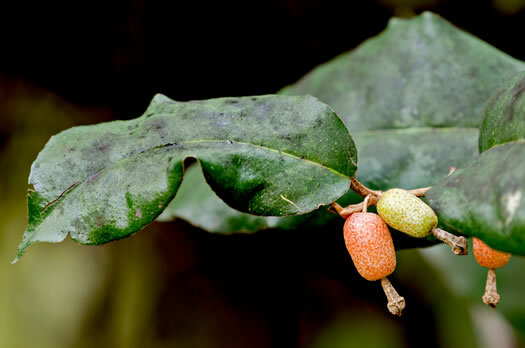 Your search found 2 image(s) of fruit of Elaeagnus species. 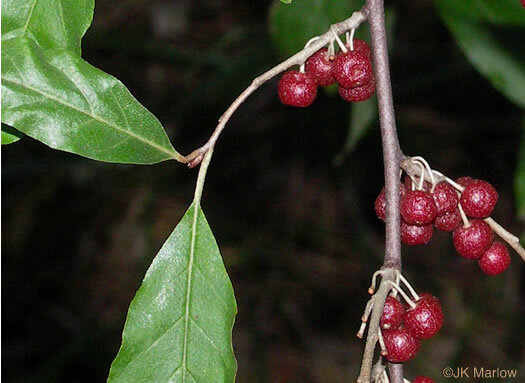 Fruit terminated with conspicuous, persistent, prolonged calyx tube, per Vascular Flora of the Carolinas. Round red juicy drupe, finely dotted with silver/silvery-brown scales, per Nonnative Invasive Plants of Southern Forests.